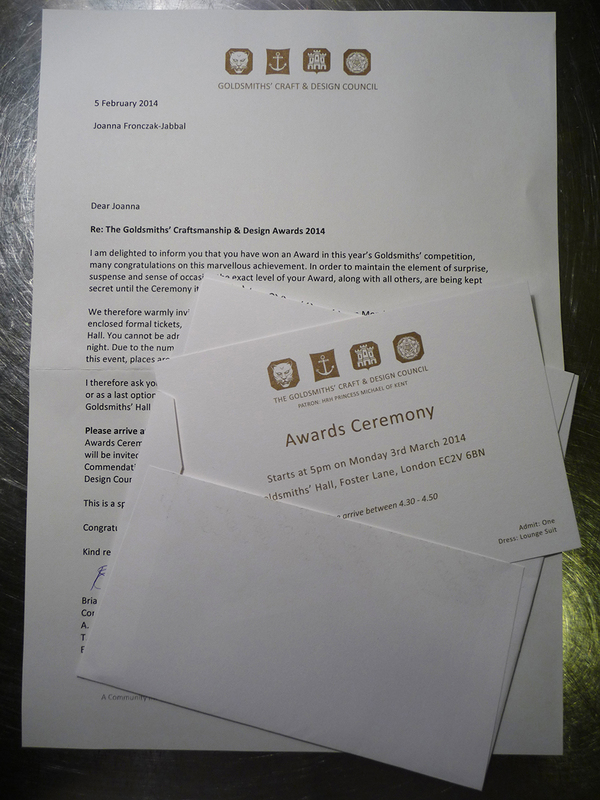 I received letter from The Goldsmiths’ Craftsmanship & Design Awards 2014. I do not know the exact level of the Award yet. I will get to know on 3rd of March 2014. Just over a week from now… can’t wait!